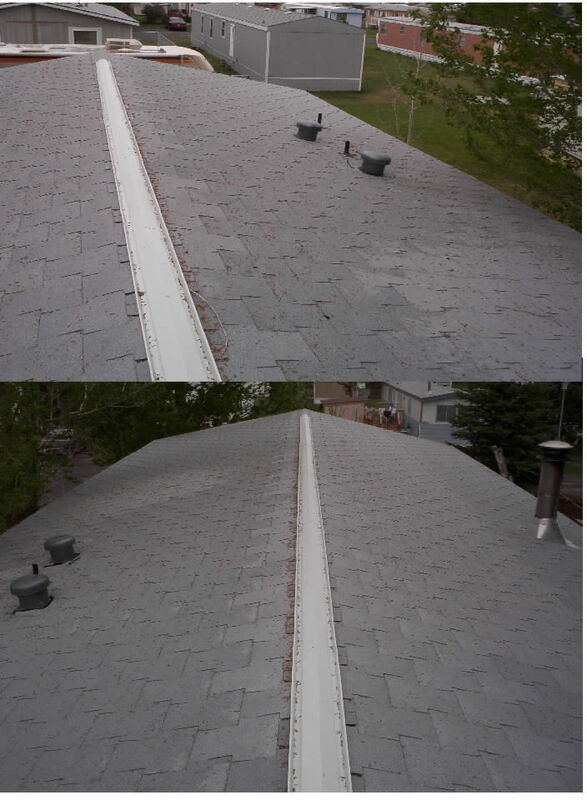 We would like to thank Steve and Karen for letting Tom reshingle their roof. 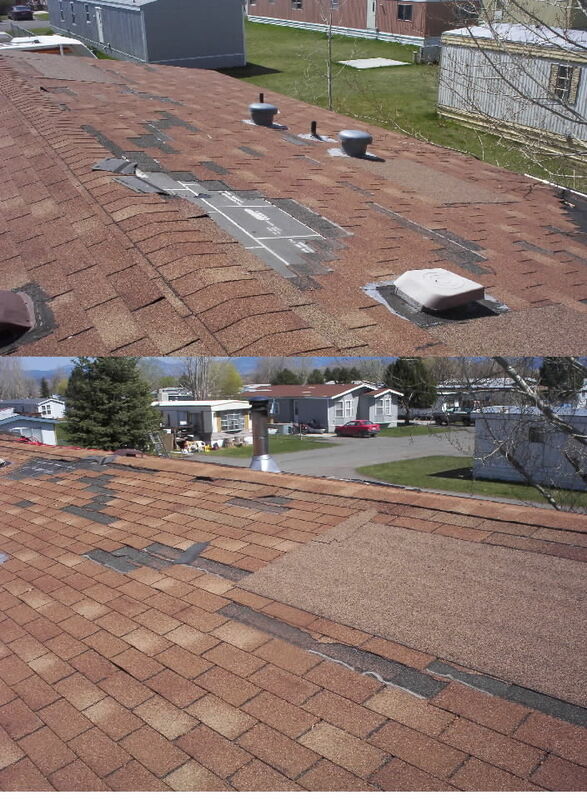 There were several shingles missing, so Tom took the old ones off and put new ones on. He also put a ridge vent on the top to help it vent better, and also put on a metal facia. But we would like to remind everyone : "It only leaked when it rained":!! 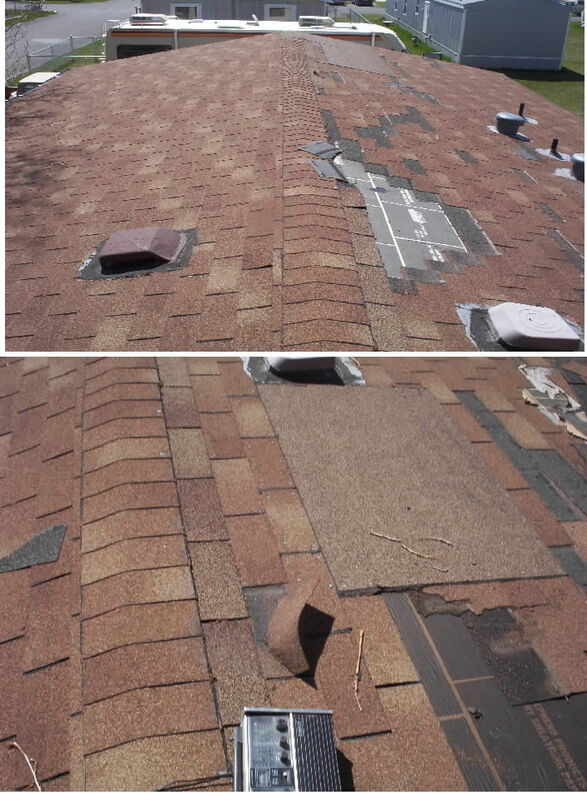 Well here are pictures of the old roof. They have a pipe coming out of the roof for their wood stove and then all the vents. The new roof with the new ridge vent. Lot nicer looking isn't it?